By Joseph Fitsanakis: Russia, the United States and Tajikistan have all denied that they were behind a series of mystery airstrikes that took place along the Tajik-Afghan border on Sunday, while the identity of the targets also remains unknown. The 800-mile border between Afghanistan and Tajikistan consists of mountainous terrain. 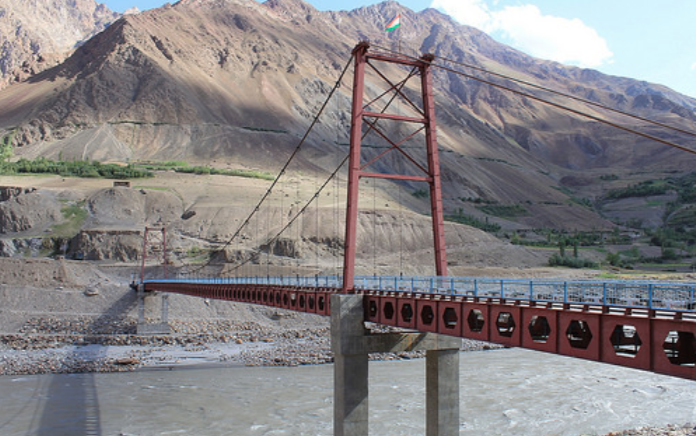 Unlike the Afghan-Pakistani border, which is rife with skirmishes and firefights, the Afghan-Tajik border is usually peaceful and sparsely guarded. But on Sunday, August 26, local officials from both sides of the Afghan-Tajik border reported that fighter jets conducted a series of airstrikes. News media in Tajikistan’s capital Dushanbe said that Tajik border guards exchanged fire with Taliban fighters, killing as many as eight, but losing two officers in the process. However, on Monday a Tajik border police official denied media reports and said that the border incident involved Tajik lumberjacks who were attacked by unknown assailants from Afghanistan.